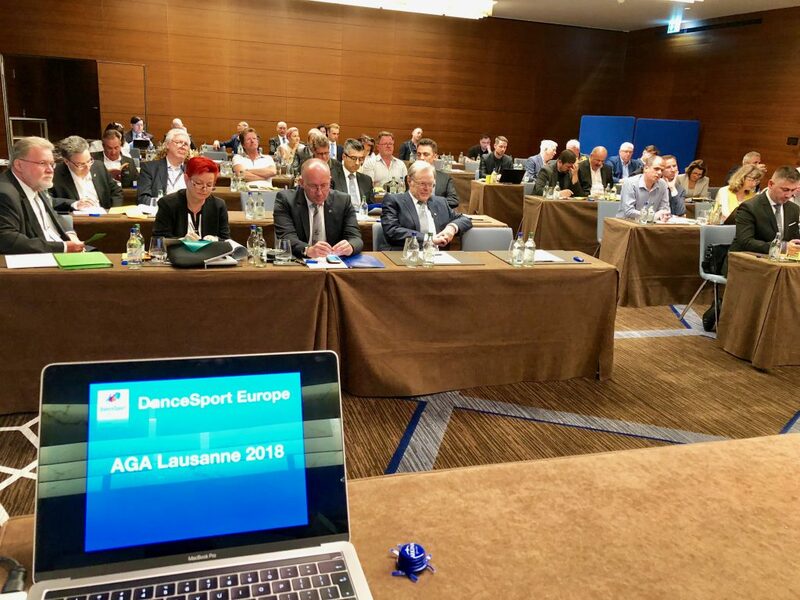 DSE invited its members to Annual General Assembly in June in Lausanne, attached to the same weekend with the WDSF AGM. 23 members were present when the last year´s work of the Managing Committee as well as the budget for the becoming year were presented and accepted. The minutes of the AGA will be published on the webpage. DSE statutes were revised – membership fee has to be paid in order to have the votes in the AGA. This revision was later accepted and confirmed also by the WDSF AGM. Therefore the DSE Managing Committee reminds the members to pay the fees in due time to avoid losing the voting possibility in the AGA 2019. 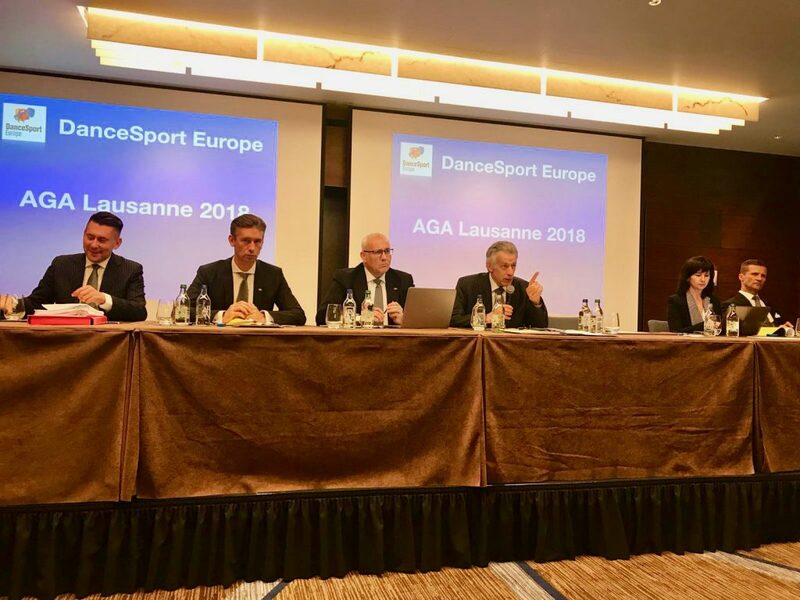 Before the Lausanne AGA, DSE President Luis Vaño (ESP) informed the Managing Committee for his return to presidency after a ten-month absence for domestic reasons. During Vaño´s absence, Vice-President Heidi Estler (GER) acted as an interim President for DSE. AGA spent some time for debating and assessing the present situation in the MC. Eventually members did not support any elections or voting. Mr. Vaño´s return to presidency was therefore secured and approved by the DSE members. Mrs. Estler resigned from the Managing Committee during the meeting and the position in the MC remains empty, as the elections for the MB will take place in 2019. 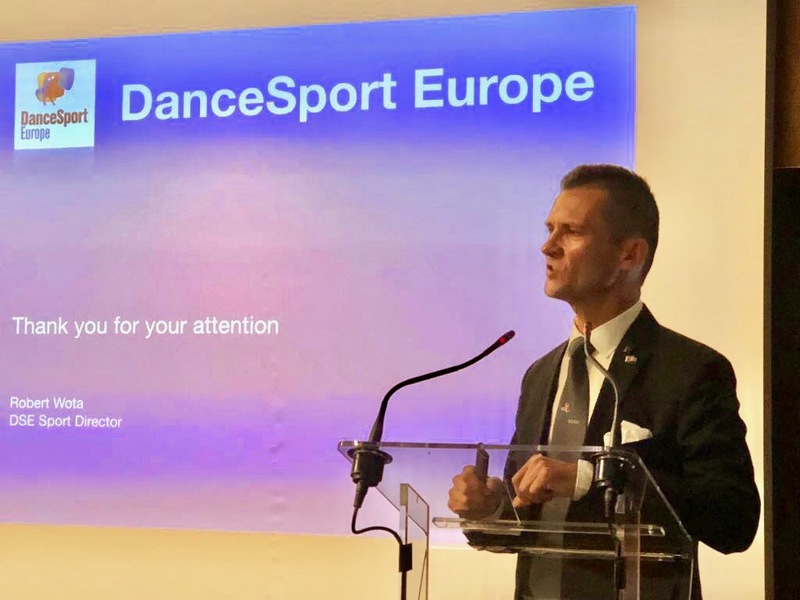 DSE MC want to express its sincere thankfulness to Mrs. Estler for her dedicated and committed work for the development of DanceSport Europe. Mrs. Estler´s experience as a team leader was highly respected. DSE MB wishes to Mrs. Estler the best of success for the new term as a President of the German federation. Robert Wota (POL), Sports Director of the DSE, became the successor for Heidi Estler, as he was nominated to act as the Vice-President until the elections in 2019. DSE Managing Committee wants to thank all the DSE members for participating the AGA 2018. Suggestions, development ideas and encouragement are appreciated and we look forward of the liaison meeting with the WDSF Presidium members in August in Stuttgart. Follow the DSE webpage, FB-page and take part to DSE events! Please find the DSE logo on our webpage, under the link “Documents and regulations” and use it in suitable events.